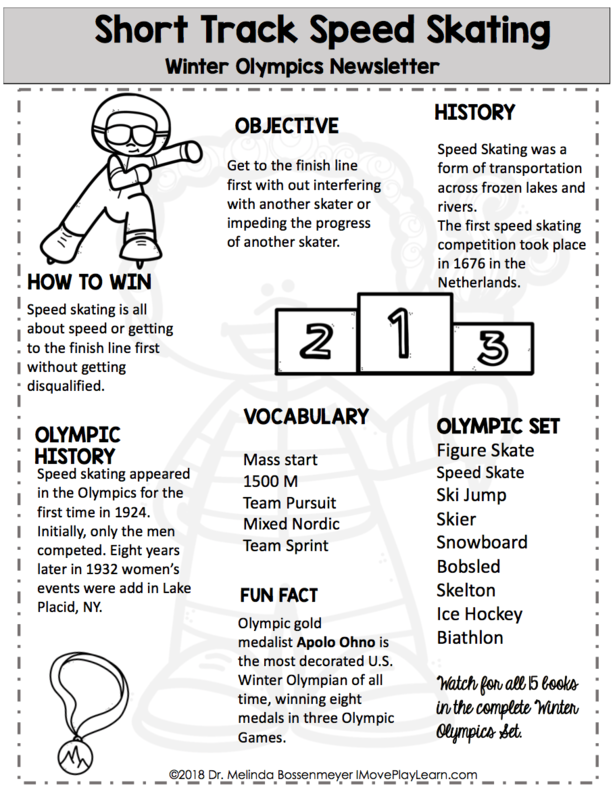 Enjoy these 2 free Winter Olympics Sports Newsletters for Elementary Students. Each newsletter tells: How to Win, Objective, History of Sport, Olympic History, Vocabulary and a Fun Fact about the sport. The Winter Sports Newsletters include Alpine Skiing, Biathlon, Bobsled, Cross Country Skiing, Curling, Figure Skating, Free Style Skiing, Hockey, Luge, Nordic Combined, Short Track Speed Skating, Ski Jump, Skeleton, Snowboard, and Speed Skating. Are you interest in the set of all 15 Winter Olympic Sports Newsletters. Find it here.